Seventeen congressmembers introduced a federal marijuana banking bill, CBD cannabis oil gets approved in Oklahoma, medical marijuana advances in Louisiana, Indiana approves needle exchange programs, and more. Federal Marijuana Banking Bill Filed. Rep. Ed Perlmutter (D-CO) and 16 bipartisan cosponsors yesterday introduced the Marijuana Business Access to Banking Act (HR 7076), which would allow marijuana businesses to open bank accounts. The bill would provide banks with a "safe harbor" so they can offer accounts to such businesses without fear of federal retaliation. Rhode Island House Committee Hears Testimony on Legalization Bill. The House Judiciary Committee yesterday heard testimony on House Bill 5777, the marijuana regulation, taxation, and legalization bill from Rep. Thomas Slater. No vote was taken; the bill was held for further study. Click on the title link for more hearing details. Oklahoma Governor Signs CBD Cannabis Oil Bill. Gov. Mary Fallin (R) today signed into law House Bill 2154, also known as Katie and Cayman's Law. It allows for the use of CBD cannabis oil by children suffering from epileptic seizures and sets up a study program. Louisiana Medical Marijuana Bill Wins Senate Committee Vote. Only a year after overwhelmingly rejecting a similar bill, the Senate Health Committee Wednesday unanimously approved a medical marijuana bill, Senate Bill 143, sponsored by Sen. Fred Mills, Jr. (R-Parks). The bill is set for a Senate floor vote next week. The bill does not allow for smoked marijuana; only marijuana processed into oils. 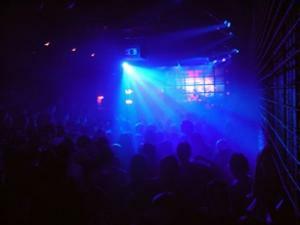 North Carolina House Votes to Ban New Synthetics. The House voted unanimously today to add more compounds to the state's list of illegal drugs. House Bill 341 adds the NBOMe (N-bomb) compounds to the list. The drugs are described as similar to LSD. The bill now heads before the Senate Rules and Operations Committee. Texas House Approves Bill Giving Cops More Power to Move Against Synthetics. With no debate and on a voice vote, the House Wednesday approved House Bill 1212, which would give law enforcement greater ability to move against synthetic drug manufacturers. A final vote of approval was expected today, and then the bill moves to the Senate. Similar legislation is already moving in that chamber. 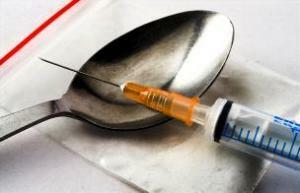 Indiana Legislature Approves Needle Exchange Programs. Faced with an HIV outbreak in one southwestern county, the legislature last night approved a bill allowing for the establishment of needle exchange programs throughout the state. Gov. Mike Pence (R) says he will sign SEA 461. Canada Supreme Court to Take Up Mandatory Minimum Drug Sentencing. The Supreme Court announced today that it will hear an appeal of mandatory minimum sentencing for drug offenses in the case of R v. Lloyd. Lloyd was arrested carrying small amounts of heroin, crack, and meth, and was subject to a one-year mandatory minimum sentence, but the Provincial Court found that sentence to be cruel and unusual. The BC Court of Appeal overturned the Provincial Court and increased his sentence. Now, the Supreme Court will decide if the sentence violates Canada's Charter of Rights and Freedoms. A national poll and two state polls have majorities for marijuana legalization, a South Dakota initiative would treat alcohol and tobacco like marijuana, Indonesia appears set to execute three foreign drug offenders, and more. Fox News Poll Has Majority Support for Legalization Nationwide For First Time. Some 51% of Americans now support legalizing marijuana, according to a new Fox News Poll. This marks the first time a Fox News poll has reported a majority for legalization, but is up just one point from last year's Fox News poll, which had 50% support. Michigan Poll Has Bare Majority for Legalization. A new Marketing Resource Group poll has support for legalization at 51%, with 45% opposed. The poll comes as several state groups are laying plans for a 2016 legalization initiative. Ohio Attorney General Rejects Legalization Initiative Summary. Attorney General Mike DeWine last Friday rejected the ballot summary for a proposed 2016 legalization initiative backed by former Libertarian gubernatorial candidate Charlie Earl. The initiative is a response to the Responsible Ohio initiative, which would set up a 10-grower monopoly on commercial marijuana growing. Rhode Island Poll Has 57% for Legalization. A New Public Policy Polling survey has support for legalization at 57%. The poll comes as the legislature considers bills that would legalize or decriminalize the herb. South Dakota Initiatives Would Regulate Alcohol and Tobacco Like Marijuana. A pair of activists calling themselves Consistent South Dakota have crafted two initiatives that would criminalize the sale of alcohol and tobacco. "The state should not benefit from the transfer of two deadly drugs, while punishing the transfer of benign herbs," the group said. Legislators in Vermont have pulled a similar form of political ju-jitsu by introducing a bill to that effect. New York Now Accepting Applications for Medical Marijuana Licenses. The state Department of Health announced today that it is accepting applications from entities that want to register to grow or distribute medical marijuana. The state expects to announce the companies selected by July. Washington Governor Signs Bill Folding Medical Marijuana Into Legal Marijuana System. Gov. Jay Inslee (D) last Friday signed into law Senate Bill 5052, which attempts to regulate the state's previously unregulated medical marijuana system and bring it into harmony with its legal marijuana system. The bill creates a voluntary registry system for patients that would allow them to possess more marijuana than others and face lower taxes. 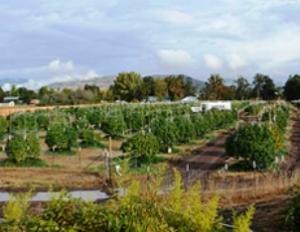 It will also eliminate the "collective gardens" that currently supply thousands of patients, although it will allow "cooperative gardens" for no more than four patients. Some collective gardens will be allowed to continue; they will be given priority in licensing if they have been good citizens. Illinois Senate Approves Bill Targeting Synthetic Drugs. The Senate last Friday approved Senate Bill 1129, which attempts to go after synthetic drugs by targeting whole classes of synthetic cannabinoids and stimulants instead of individual formulations. The bill now heads to the House. British Cannabis is Safer Than Alcohol Party Issues Manifesto. CISTA is running 32 candidates in the forthcoming elections on a pro-marijuana legalization platform. Its manifesto calls for a regulated marijuana market and a fundamental review of British drug policy. Indonesia Announces Looming Execution of Three Foreign Drug Offenders. The Indonesian government announced Saturday that it will shortly execute two Australians and a Filipina for drug trafficking offenses. Six other foreigners are also on death row for drug offenses. The pending executions are moving forward despite intense international efforts to get the Indonesian government to reconsider. And now there are two Maine legalization initiatives, there is no decrim in New Mexico this year, Denver moves to restrict collective grows, truck drivers could face hair drug tests, the DEA's marijuana eradication program is lagging, and more. Alaska Marijuana Bill Moves. A bill to adjust the state's criminal codes to allow for legal marijuana passed the Senate Finance Committee Monday and now heads for the Senate Rules Committee before going for a floor vote. The bill, Senate Bill 30, creates crimes for possession of amounts greater than allowed for under state law, bans the delivery of marijuana for sale or barter, and bans marijuana commerce in the state's unorganized boroughs (although villages could opt back in). The bill no longer contains a controversial section banning marijuana concentrates after 2017. Second Maine Legalization Initiative Campaign Gets Underway. The Marijuana Policy Project (MPP) today unveiled its plan to legalize marijuana in the state next year. The MPP initiative would allow people 21 and over to possess up to an ounce and grow up to six plants, allow for retail sales with a 10% tax in addition to sales taxes, and limit the number of retail outlets until 2019. Another group, Legalize Maine, unveiled its initiative proposal last month. In the meantime, the legislature is considering a legalization bill from Sen. Diane Russell (D-Portland). New Mexico Decriminalization Bill Dies as Session Ends. A bill to decriminalize the possession of small amounts of marijuana is dead after the session came to an end without the House taking it up. Senate Bill 383 had passed the Senate, but was languishing in the House Judiciary Committee when the session ended last Saturday. Denver City Council Votes to Restrict Collective Gardens. The council voted Monday night to limit the number of marijuana plants that collectives can grow to 36. There are at least 60 collectives in the city, with some having thousands of plants. Marijuana attorney and advocate Rob Corry said that the ordinance violates Amendment 64 and that he'll sue to get it annulled. House Version of Federal Medical Marijuana Bill Filed. Reps. Steve Cohen (D-TN) and Don Young (D-AK) Monday introduced the House version of the CARERS Act filed two weeks ago in the Senate. Both bills would allow states to have medical marijuana without federal interference, reschedule marijuana to Schedule II, allow VA doctors to recommend medical marijuana, allow interstate commerce in CBD cannabis oils, and ease banking problems for the industry. The House version is HR 1538. 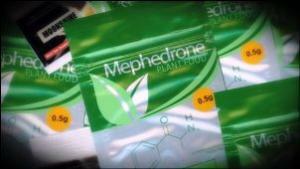 Texas Senate Approves Bills Banning New Synthetics. The Senate passed one bill to make new synthetics controlled substances, one bill increasing the penalty for possession of the drugs, and one bill that would subject retailers who sell them to a fine of $25,000 a day. The bills are Senate Bill 172, Senate Bill 173, and Senate Bill 461. All three now go to the House, where they are expected to pass. Federal Bill Would Allow Hair Drug Testing of Truck Drivers. A bill filed last week by Rep. Eric Crawford (R-AR) would allow motor carriers to submit hair samples for their drivers' drug tests instead of urine samples. Hair testing can reveal drug use months earlier, while urine testing only catches recent drug use. The bill, HR 1467, is supported by several industry organizations. DEA Marijuana Eradication Slowing Down. The DEA is uprooting and destroying far fewer pot plants than it did just a few years ago. According to DEA records, the agency destroyed 4.3 million pot plants last year and 4.4 million the year before. That's less than half of the 10.4 million eradicated in 2009. The slowdown is being blamed on states reducing their enforcement efforts because of the recession and states prioritizing other, more serious, drug threats. Canada Parliament Passes Bill Aimed at Blocking Safe Injection Sites. Parliament has passed Bill C-2, the "Respect Communities Act," which supporters said would give communities a chance to have input on whether to allow safe injection sites. But opponents of the bill say it will only increase the number of hurdles such life-saving programs must surmount before they can operate. The Conservative government has been a staunch opponent of safe injection sites. Washington House Approves Marijuana Deals With Tribes. The House last Thursday overwhelmingly approved a bill to allow the state's Indian tribes to participate in the state's legal marijuana industry. The bill is House Bill 2000, and it now goes to the state Senate. First Government-Run Pot Shop Opens in Washington Town. The city of North Bonneville, Washington, has become the first government entity to open a marijuana retail store. The Cannabis Corner opened over the weekend after the city won approval from the state. Prohibition on Psychedelics An Offense Against Human Rights, Researchers Say. A pair of Norwegian researchers who, after studying population data from more than 135,000 people, including 19,000 users of psychedelics, reported no link between using psychedelics and mental health problems, have said that continuing to ban them has no justifiable public health basis and is "against human rights." Click on the link for more details. Arizona Welfare Drug Testing Law Didn't Produce Predicted Savings. When the state passed its welfare drug testing law in 2009, lawmakers said it would save about $1.7 million a year by removing drug users from welfare rolls. Not quite. In the more than five years since the law went into effect, only 42 people were flagged for drug tests. 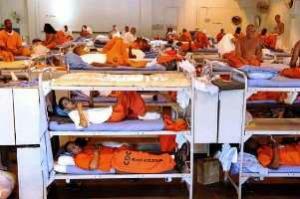 Of those, 23 didn't take the drug test and were denied benefits for one year. Nineteen other took the drug test; only three failed. The total savings are now estimated at $3,500 over the entire period, not $1.7 million a year. Mississippi 911 Good Samaritan Bill Moving. A bill that would provide limited immunity from prosecution for people who report active drug overdoses in a bid to get medical assistance has passed the state Senate and a key House committee. Senate Bill 2780 now awaits a House floor vote. Oklahoma Bill Would Charge Pregnant Drug Users With Assaulting Fetus. A bill that would change the definition of assault to include illegal drug use by a pregnant woman has won a vote in the Senate Appropriations Committee and awaits a Senate floor vote. Senate Bill 559 would still have to get through the House. New Orleans Rally for Man Doing 13 Years for Two Joints. Supporters of Bernard Noble, who is doing 13 years in state prison for possessing two marijuana joints, rallied Saturday to support a campaign to gain clemency or a commutation for him. All appeals to state courts have failed, and now it's up to Gov. Bobby Jindal (R) to act. Morocco's Main Opposition Party Calls for Amnesty for Hash Growers. The Istiqlal Party, the largest opposition party, has called on the parliament to adopt a bill that would grant amnesty to hashish farmers. The party says that more than 300,000 people make a living in the hash fields. The party's proposed bill would limit hash cultivation to specified regions of the country. 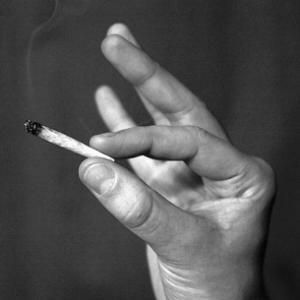 The Party of Authenticity and Modernity (PAM) has also called for the legalization of marijuana cultivation. Morocco is one of the world's leading cannabis producers. More than A Hundred New Synthetic Drugs Appeared in Europe Last Year. The European Monitoring Center on Drugs and Drug Addiction (EMCDDA) reported today that 101 new substances were reported last year by the European Union's Early Warning System, up from 81 in 2013. That means more than 450 new synthetic drugs have been identified by the agency, more than half in the last three years alone. Click on the link for more details. 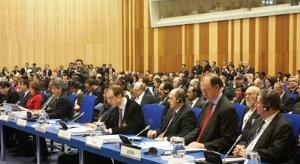 UN Commission on Narcotic Drugs Session Underway in Vienna.The 58th annual session got underway in Vienna today. It comes as the international drug prohibition consensus crumbles in the face of drug war failures and moves to liberalize drug laws, especially marijuana laws. This is also part of the lead-up to the 2016 UN General Assembly Special Session (UNGASS) on Drugs. There will be a smoke-out in Trenton later this month, medical marijuana is moving in Utah, the Texas "border surge" accomplishes little, KY cops ignore asset forfeiture reporting, a tough, new British drugged driving law has gone into effect, and more. Indian Tribes Gather in Washington State to Talk About Marijuana Production. Representatives of at least 75 tribes attended a conference in Tulalip last Friday to discuss legalizing, regulating, and producing marijuana on their reservations. The move comes after the Justice Department announced that it would not block tribes from doing so. Many tribes are cautious or reluctant to consider the notion, but there appears to be plenty of interest, too. Colorado's 2014 Marijuana Sales Numbers. According to a to new report from the state, nearly five million pot-infused edibles and nearly 75 tons of marijuana were legally sold in Colorado last year. And that's with only 67 of the state's 321 local jurisdictions allowing for the sale of recreational or medical marijuana. Of course, those 67 localities are where most of the people are. Medical marijuana accounted for nearly 110,000 pounds of marijuana sales, while recreational accounted for nearly 39,000 pounds. New Jersey Legalization Advocates Plan "NJ Spring Smoke-Out Rally" in Trenton. A coalition of groups advocating legalization will hold a "Million Marijuana March" for legalization or "any progressive measures on marijuana" on March 21. The groups include the East Coast Cannabis Coalition, the Coalition for Medical Marijuana -- New Jersey, CB Delaware, Delaware NORML, Decarcerate the Garden State, The Legalize Marijuana Party, Legalize Cannabis in Atlantic City and Fully Baked Radio. Check the event's Facebook page for more details. New, Weaker CBD Cannabis Oil Bill Filed in Georgia Senate. The House last week passed a CBD cannabis oil bill, but now, Sen. Lindsey Tippins has filed a new bill that would not make the drug available, but would instead set up a four-year study. The Tippins bill is not yet up on the legislative website; the House bill that passed is House Bill 1. Poll Shows Strong Support for Medical Marijuana in Iowa. A new Des Moines Register poll has support for medical marijuana at 70%, up from 59% a year ago. The state approved a CBD cannabis oil bill last year, but patient advocates say that law is useless because it doesn't provide for distribution of the medication. Utah Medical Marijuana Wins Senate Committee Vote. The state Senate Judiciary Committee last Friday approved Senate Bill 259, a full-blown medical marijuana bill. The measure should go to the Senate for a floor vote this week. Illinois Lawmakers File Omnibus Bill to Battle Opiate Addiction. House Assistant Majority Leader Rep. Lou Lang (D) and GOP Rep. John Anthony were set today to file a comprehensive, 240-page bill to deal with heroin and prescription opiate use and addiction. It would allow the overdose reversal drug naloxone to be distributed more widely, require the creation of a drug prevention program for schools, require that coroners report all overdose deaths to the Department of Public Health, require pharmacies to serve as drug "take back" sites, and limit pain reliever prescriptions. Kentucky Senate Panel Hears House's Heroin Bill. Although the state Senate has already passed its own omnibus heroin bill, Senate Bill 5, the Senate Standing Committee on the Judiciary last Friday took up the House's omnibus heroin bill, which has lesser sentencing increases for heroin offenders, has a Good Samaritan provision, and allows for the broader use of the overdose reversal drug naloxone. The committee took no action on the bill. Indiana Supreme Court to Hear State's Appeal of Ruling Throwing Out Ban on Synthetic Drugs. The state's high court has agreed to hear an appeal from the state attorney general of a January Court of Appeals decision throwing out the state's ban on synthetic drugs as unconstitutionally vague. The appeals court explicitly rejected a list of more than 80 chemical compounds, look-alike substances, and synthetics as too difficult to understand. Kentucky Cops Generally Ignore State's Asset Forfeiture Law. LEX 18 TV News has looked into state law enforcement agencies' compliance with asset forfeiture statutes and has found that "a state law designed to give oversight of Kentucky asset forfeiture practices is mostly ignored by Kentucky police agencies." According to the station, only 63 of about 400 law enforcement agencies in the state filed required annual reports on their drug-related seizures last year, "leaving potentially millions of dollars' worth of goods unaccounted for." Texas "Border Surge" Accomplishes Little. Last year's "surge" on the Mexican border, which saw Texas National Guard troops, state troopers, and game wardens flood the border, has done little to stop the flow of drugs, state officials said Friday. But they still want another $815 million for two more years' worth of surging. New British Drugged Driving Laws Now in Effect. New drugged driving laws went into effect yesterday in the UK. Officers can now do roadside tests for cocaine and marijuana with a "drugalyser." Previously, they had to arrest suspect and take them to a police station for a blood draw under medical supervision. Other drugs will still require going to the police station for a test. The law also covers prescription drugs. Under the law, police will not be required to prove impairment, only that the drugs were present. Israeli Leftist Party Embraces Marijuana Legalization. With elections looming, the leftist Meretz Party is looking for a boost by embracing marijuana legalization. "Legalization and decriminalization have a political home, and that home is Meretz," said Tamar Zandberg in a video released on the party website last week. Zandberg is number five on Meretz's list for the Knesset. CARICOM Agrees on Commission to Look at Pot Legalization. The Caribbean Community agreed over the weekend on the composition of a commission to look into marijuana legalization. Bahamas Prime Minister Perry Christie, currently chairman of the group, said members expect the commission to "soon begin its work to look into the economic, health and legal issues surrounding the use of marijuana and to consult with stakeholders to get a view on the issue." The move comes just days after Jamaica gave final approval to decriminalizing marijuana. Belize Decriminalization of Marijuana Committee Issues Report, Calls for… Decriminalization. After nearly three years of pondering, the decriminalization committee has called for decriminalization. The committee is calling for possession of less than 10 grams to be subject only to administrative penalties. First Phase of Alaska Legalization Goes Into Effect Tomorrow. As of Tuesday, February 24, 2015, the first phase of Alaska's voter-approved Measure 2 marijuana legalization goes into effect. Beginning then, people 21 and over can legally possess up to an ounce of weed and grow up to six plants in their home (only three flowering). Adults may also share up to an ounce of weed with other adults and give them up to six plants. Taxed and regulated marijuana commerce will come next year. Click on the link for more. Maryland Legalization Bill Gets Hearing Tomorrow. The House Judiciary Committee will hold a hearing in the General Assembly on Tuesday, February 24, to consider a bill that would regulate and tax marijuana similarly to alcohol. Supporters of the bill, including representatives of the Marijuana Policy Coalition of Maryland, are expected to testify. The hearing will take place in Room 101 of the House Office Building at 1:00pm ET. The bill is House Bill 911, sponsored by Rep. Curt Anderson (D-Baltimore). Minnesota Medical Marijuana Workers Unionize. Workers at Minnesota Medical Solutions, which will operate four medical marijuana dispensaries, have signed a labor agreement with the company under the auspices of the United Food and Commercial Workers (UCFW), Local 1189. The union is also in discussions about representing workers at the other four planned dispensaries in the state, which will be operated by LeafLine Labs. The UFCW has also organized marijuana workers in California, Colorado, and Washington. Missouri Medical Marijuana Bill Gets Hearing Today. Rep. Dave Hinson's (R-St. Clair) House Bill 800, which would allow for medical marijuana for eligible payments, was set to get a House hearing today. Come back tomorrow for results. West Virginia Medical Marijuana Bill Filed. On the last day to file Senate bills in the legislative session, Sen. Mitch Carmichael (R-Ripley) introduced Senate Bill 546, the "Creating Compassionate Use Act for Medical Cannabis." The bill would allow for medical marijuana for designated debilitating medical conditions and would require patients and caregivers to be registered with the state. The bill now goes before the Senate Health and Human Services Committee. Kosher Medical Marijuana Coming to New York? Orthodox Jews in New York may soon be able to get kosher medical marijuana. Rabbi Moshe Elefant, head of the Orthodox Union's kosher certification agency said he has held "preliminary discussions" with several companies seeking to obtain a kosher seal of approval for medical marijuana. Click on the link for more. Chuck Schumer Lobbies to Restore HIDTA Funding Cuts. Sen. Charles Schumer (D-NY) said Sunday Congress should reject President Obama's plan to cut funding for the High Intensity Drug Trafficking Area (HIDTA) program. "This is one area where I disagree with the president, and I'm going to fight to reverse his decision," Schumer said. 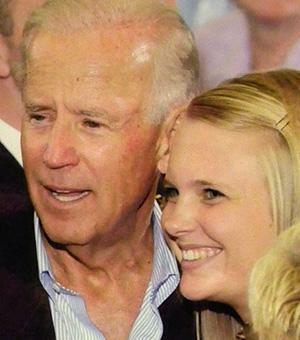 He wants $100 million in drug war funding restored, in part to fight heroin use in his state. UN Official Blames "Corrupt" Chinese Pharmaceutical Industry for Meth Production. Chinese police recently busted 2.4 tons of meth in Guangdong Province, provoking UN Office on Drugs and Crime (UNODC) official Jeremy Douglas to say that "corruption in the pharmaceutical and chemical industries" in China was behind the easy availability of chemicals needed to mass produce the drugs. "To operate a lab like this, you need a lot of chemicals, which are legitimate, regulated chemicals from the pharmaceutical industry," Douglas said. 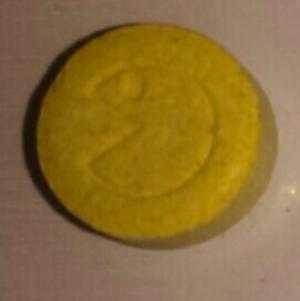 "This group has been able to get their hands on the precursor chemicals necessary to produce the drugs. They've been doing it for a long time, which means they're getting these chemicals on a regular basis. There is some kind of corruption in the chemical/pharmaceutical industry taking place allowing this to happen." 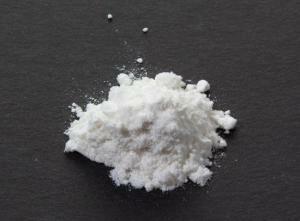 India Bans Mephedrone. India has now classified mephedrone (also known as "Meow-Meow" or "M-Cat") as a psychotropic substance that falls under the Narcotic Drugs and Psychotropic Substances Act of 1985. That means mephedrone will now be treated as a controlled substance like heroin, cocaine, or methamphetamine. Previously, the new synthetic was not regulated in the country.